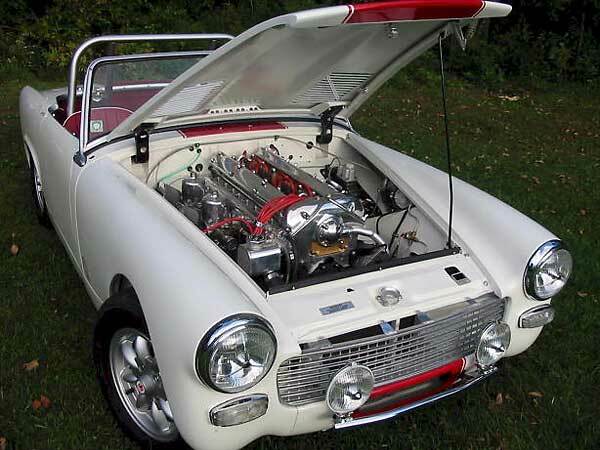 Click here to see the BritishV8.org feature. Anyway, if you're a diesel fan or thinking of creating a bio-diesel car, a Mercedes 220D is a great choice. They run damn-near forever. This one is located in Bend, OR. Older Mercedes were rust prone, but this one appears to have a great body. Best of all, it has a manual transmission. Click here to see the Craigslist listing. 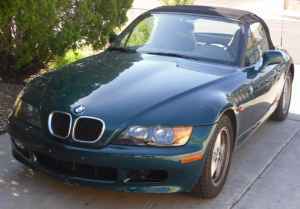 1997 BMW Z3 1.9 - These are bargains. As soon as BMW dropped the 2.3 liter 6 into this body, the value of the 4 cylinder cars dropped dramatically. The 1.9 doesn't have the get-up-and-go of the 6, but it still has enough power to get out of its own way. The gas mileage is great, maintenance is easy and, best of all, the 1.9 4 is nearly indestructible. The 1.9 Z3 is a great alternative to a Miata. I chose this one because I like the color. It appears to be a good, honest Z3. But, there's no reason to drive far to find a good used 1.9 Z3. There are plenty out there to choose from and you should be able to find one locally. The asking price for this one is $5850.00. Located in Summerlin, NV, click here to see the Craigslist ad. 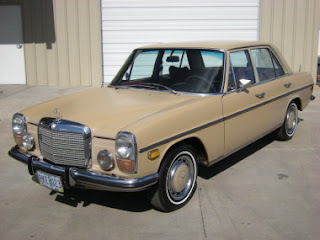 I actually had a 1972 220D. It was despairingly slow. Over 20 seconds zero to sixty. Great handling. In fact the secret to actually getting anywhere was to just keep your foot in it and steer. You could not afford the time it took to rebuild your speed up. So the only way to overcome the missing acceleration was to never slow down. Huge & comfy seats made long distance travel the best feature. I once drove 30 hours straight from southern Florida to northern NY, only stopping for fuel. The problem is the speed. The fuel pump governed the engine to around, 80mph, along with the slow accumulation of forward momentum, had you checking to see if some prankster hadn't bungy-corded you to a fence post, it was like walking while sitting down. I saw the Sprite-Jag at a show in Saratoga NY last year. It realy is beautifully crafted. Someone in England did this to a Frogeye when it was nearly new, and called it the Fright. They were hillclimbing it, and I suspect it was not nearly as well done.